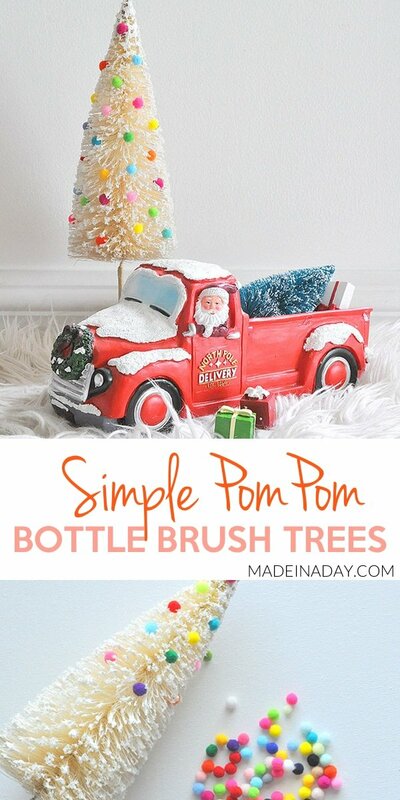 Looking for a fun way to perk up your bottle brush trees this holiday? 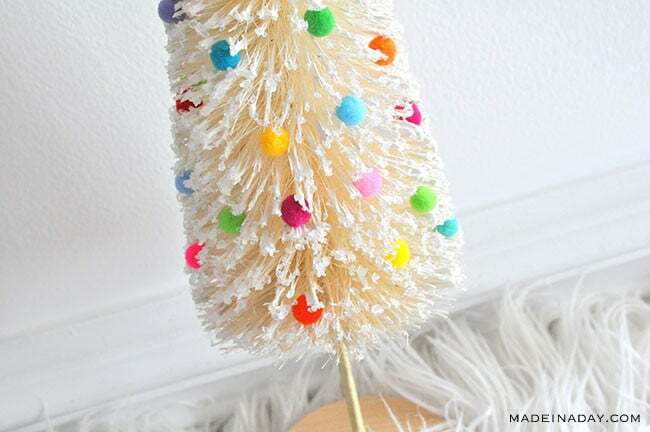 Try this simple Pom Pom Frosted Bottle Brush Tree craft! 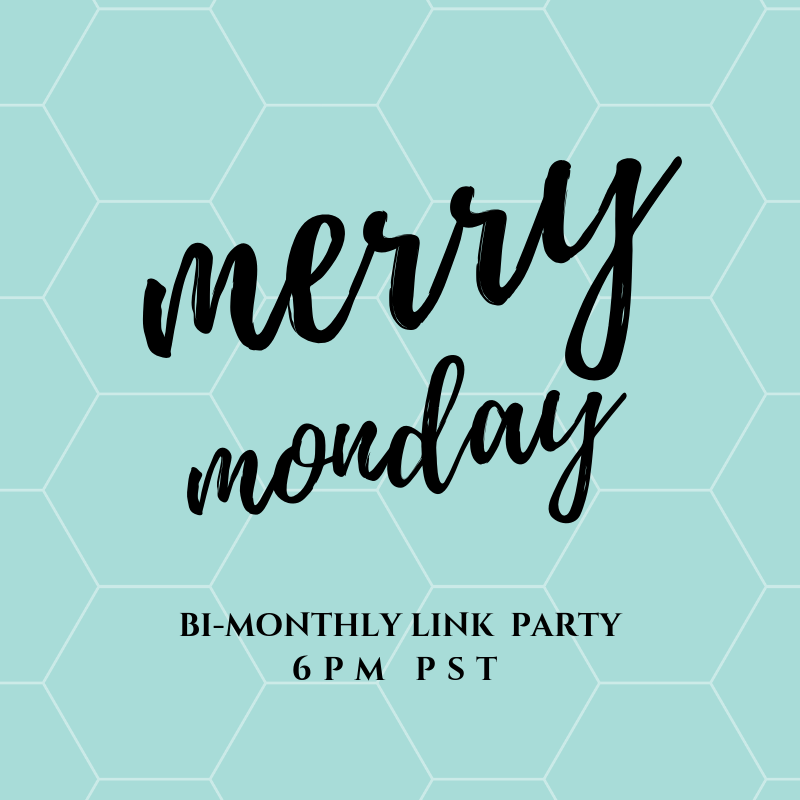 For more fun holiday ideas see my Christmas page. 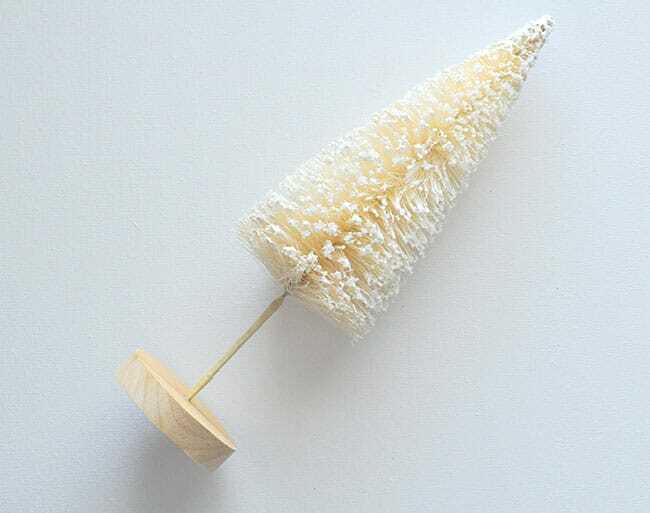 Sisal trees are a holiday trend that doesn’t seem to be going anywhere anytime soon. 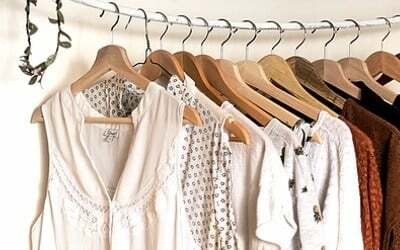 You can find them natural, frosted with snow, covered in glitter or dyed all kinds of wild colors. I decided wanted mine to have a funky colorful vibe for this years Christmas decor. So I grabbed some mini poms from my stash and went to work! 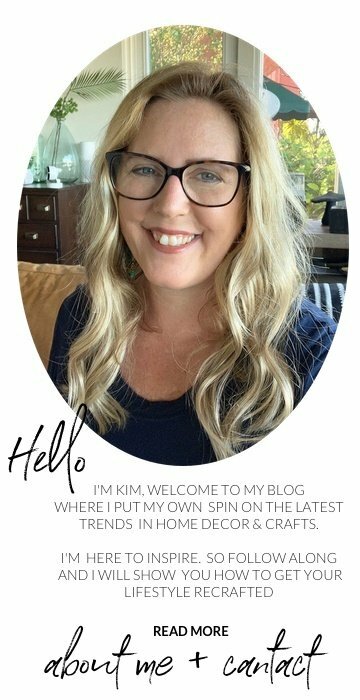 I am teaming up with my friends at Oriental Trading Company today to show you a super simple way to brighten up your plain bottle brush trees with mini poms. This project is as simple as picking the colors of the poms. 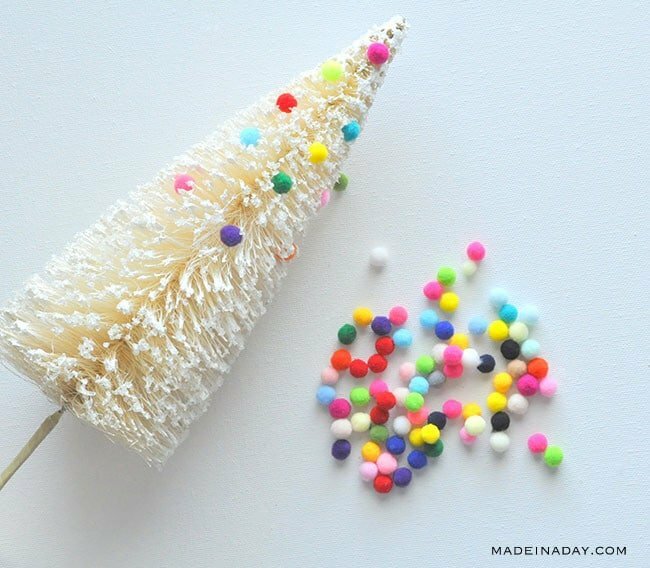 This would be a great craft to keep the kids busy this holiday season. Pick out the colors you want to use and place them 1 inch apart going around the tree. 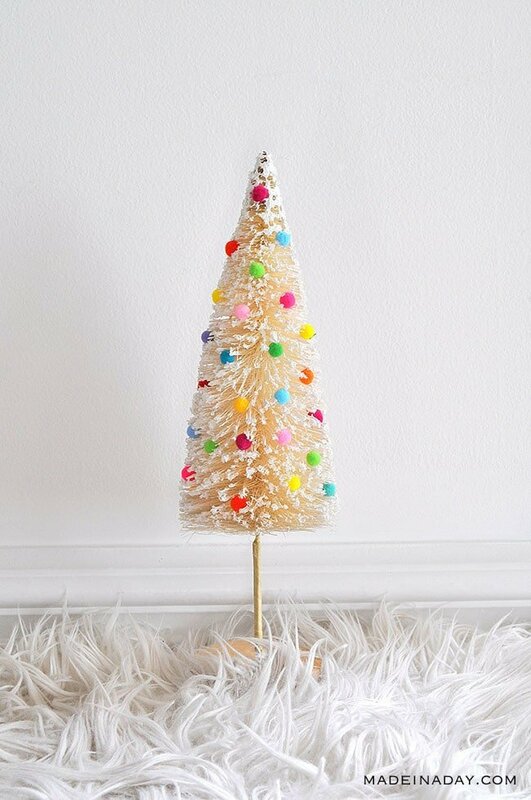 Add hot glue to each one and place them on the tree. That’s it! Super simple right? How adorable is this tree! I just love anything with pom poms. They are clearly an addiction for me. 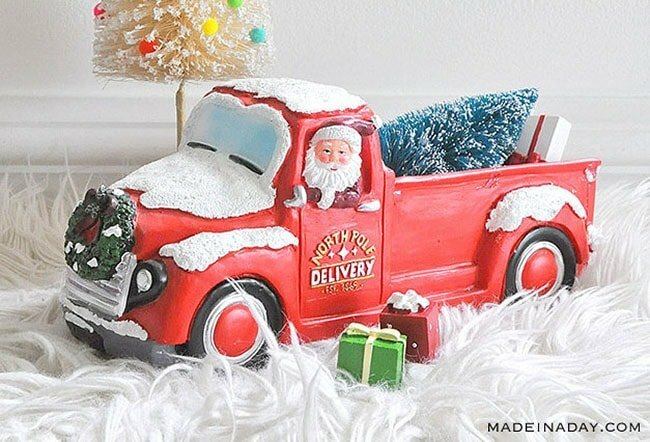 Did you see that awesome vintage Santa truck? 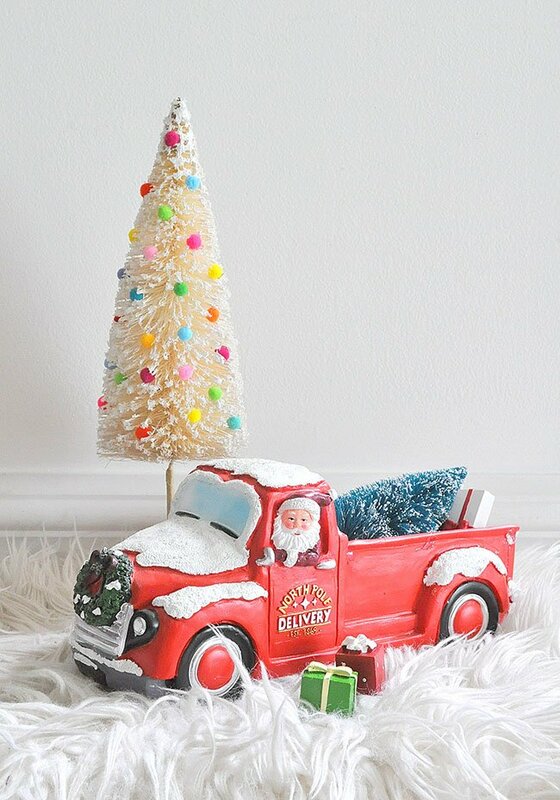 One of my favorite things that Oriental Trading Company has in their Christmas Shop this year is this Vintage Christmas Table Topper Santa Truck. 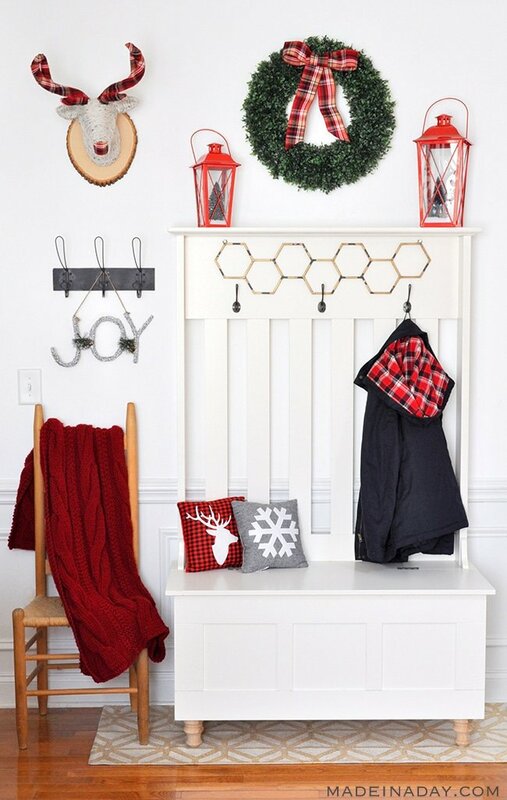 The tree, lights, and presents are removable and you can arrange it in lots of fun ways. My kids just love playing with it. I know it will be a favorite Christmas decoration in our home for years to come. Here’s how you can get your own vintage truck. Check out Oriental Trading for all your Christmas & Holiday decorating needs. 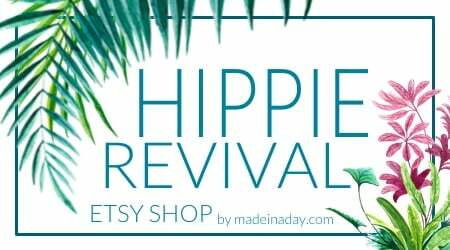 They have a massive variety party supplies and home decor for every occasion and holiday. 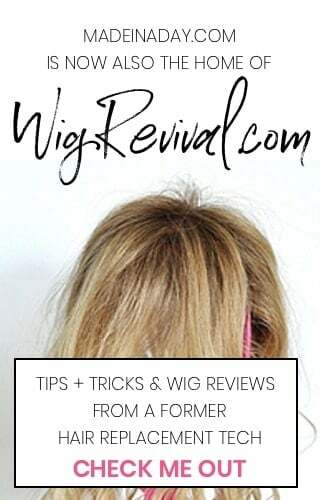 Their website is a must see. 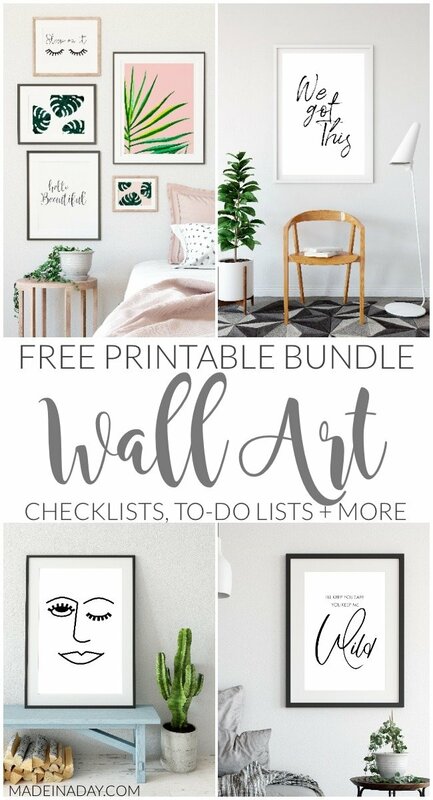 Plus everything is shipped fast right to your door. Check them out for your next celebration! This post is sponsored by Oriental Trading Company. I received compensation or product for this post, but all opinions are my own. This is so stinkin’ cute! I love the bright colors. Thanks for sharing.